Bella Brows was founded by Isabella on the foundation of a fresh take on the overplucked, overdrawn and overtinted brow. It's simple - keeping the brows natural in shape & colour enhances your already glowing self. Bella Brows doesn't use measuring stencils to create your brow shape as we don't believe that one size fits all. Your best brows will be bespoke to you and your facial features on the principle of keeping brows full, groomed and polished. The current lash lift trend was pioneered by Isabella after researching and finding the keratin strengenthing formula 'Yumi' and was the first to do lash lifts of this kind for QLD. After training multiple Brisbane, Gold Coast and Sunshine Coast salons. Isabella has perfected the art of Lash Lifts and has instilled the same skill set in the incredible team at BB. Our latest and most exciting service - brow feathering is a cosmetic tattooing enhancement to achieve a fuller, more structured and defined brow that lasts 12-18 months. Isabella traveled to LA to learn the most sought after techniques for the most realistic, undetectable results. 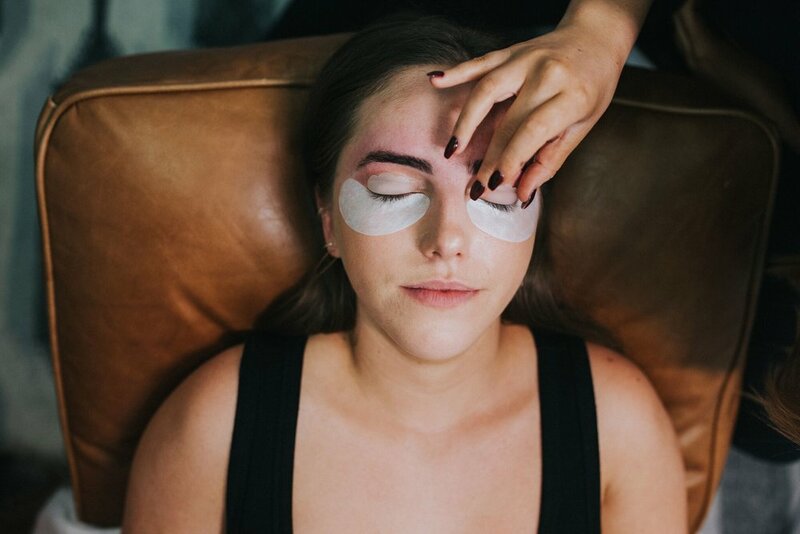 After a full consult, your artist will use precision tweezing to create the shape, 5 way wax and custom brow tint to create your perfect brows. Finished off with an optional step by step guide how to fill in your fresh brows & makeup touch up. The Yumi Lash Lift is a semi permanent lift and curl using your natural lashes to enhance your length of the lashes. Recommended to those who have worn lash extensions in the past, anyone wanting to maintain current lash quality or strengthen weak, finer lashes. Our online booking system allows you to book and manage your appointments 24/7. We have recently updated our booking system so save as a bookmark in your internet browser! If trying to book further than two months in advance, after hours, or if your preferred date and time is not available please contact us via text or call the salon on 0426-522-075 in the meantime to book your next appointment! Please note, as a small business we do not have a full time receptionist so allow up to 24 hours to receive a reply or call back. Thankyou for understanding. Late arrivals (5 minutes or later) will run the risk of loosing their appointment. If you are running a couple of mins late please contact the studio immediately to let us know. The fee payable is: $20 for Brows, $50 for Lash Lifts and packages, this will come off your total in salon. If you cancel your appointment with notice, your deposit is valid to use for 2 months. Any further than that you forfeit the deposit. Thank you for understanding the struggle of small business.